I’ve had the good fortune of writing hundreds of feature articles throughout my career; some home runs, some swings and misses—yes I’m a baseball fan so excuse the analogies. At the risk of sounding arrogant, I think the one that was part of the latest Speed On The Water digital magazine that went live yesterday (download it here) has a place in my top 10 most memorable stories. That’s not to say it’s my best work—it can’t be since the story on The Art Of Design’s 30 coolest performance boat paintjobs is primarily owner Dean Loucks’ words in an edited format—but it was a story I won’t forget mainly because I learned a lot about the talented artist and the business he started three decades ago. Between emails, texts, several hours of phone conversations, as well as collecting images, organizing the content and laying out the story across 10 pages of the digital issue, creating the story from start to finish spanned several weeks and took at least a couple of days worth of time to produce. 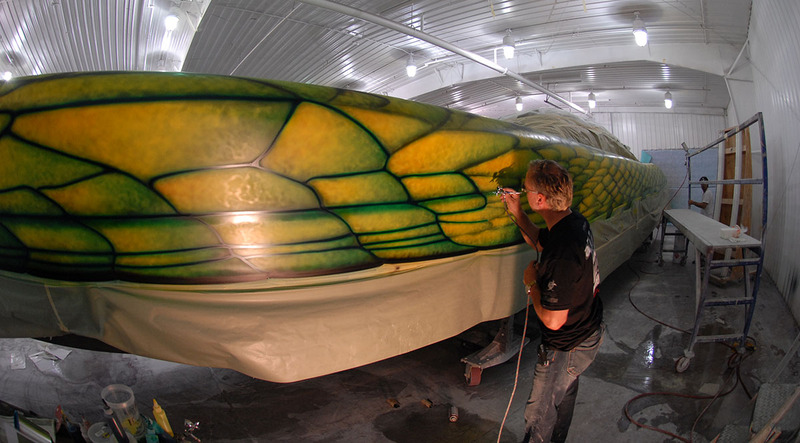 When we discussed the idea of featuring many of TAOD’s best paintjobs of all time, narrowing down the list to 30 boats, a nice round figure to represent his time in the industry, was challenging. Fortunately we weren’t trying to work in his fine art or paintjobs on RVs, motorcycles, helicopters, KitchenAid mixers and more. 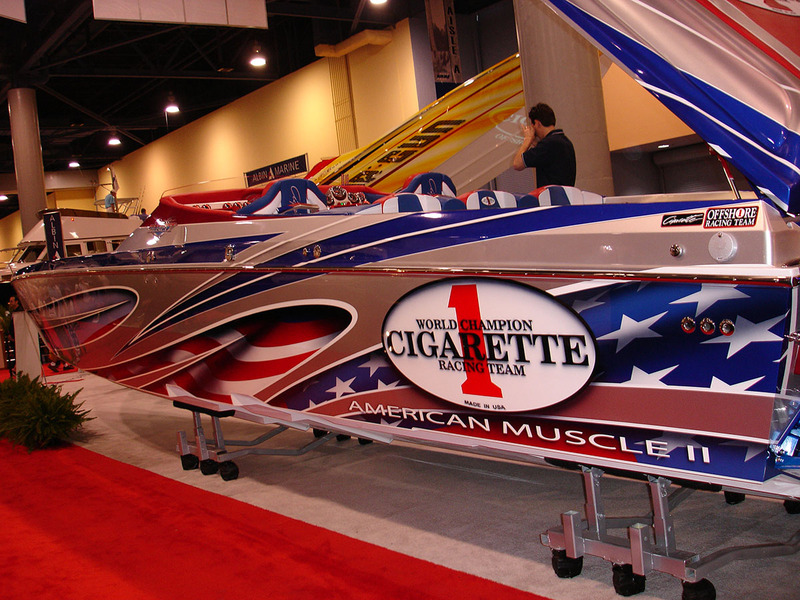 Why would we look beyond classics such as American Muscle, Monopoly, Perfect Storm, Pure Platinum and his many other works of art on the water? There’s no need. 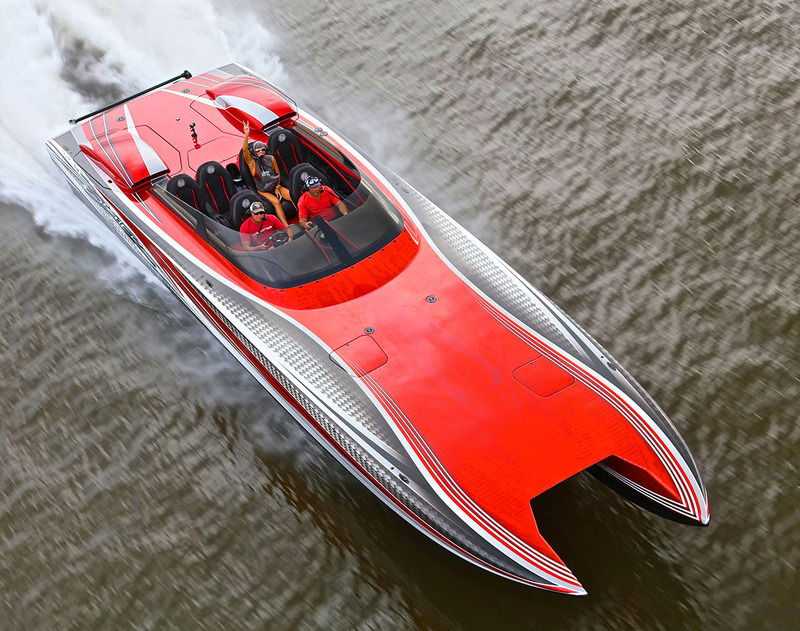 When recognizable boats such as Spider-man, Sorcerer, Rare Breed, Lick This, Kahuna, Gone Again and BioKleen don’t make the list, it’s clear we had a lot of options for the list. Luckily I’ve seen several of Loucks’ well-known paintjobs in person—Double Take, Factory Billet, Mamba, My Way, Rainmaker, US-1 Freedom and even an F-29 DCB that we tested at Powerboat magazine in 2005—and written about several others, including the American Flag 38-foot Formula, the 42 Warrior from Chief, the VOODOO Skater 388 and the PUMA Ocean Racing sailboat. During our conversations we also sidetracked to topics about how Loucks honed his airbrushing skills in the T-shirt and sign business in Venice Beach, Calif., what the RV industry is like, some of the other boat painters he respects and his recovery from a broken hip he suffered after falling off a ladder while working on his RV in November. And that’s what made this experience—capturing what I believe is a piece of performance boat history by profiling an artist of Loucks’ caliber in such a way—so memorable for me. Of course Loucks doesn’t deserve all the credit—he’s surrounding by an incredible and longstanding team of artists—but you can’t deny he is the talented visionary and risk-taker behind it all. I can’t wait to see what’s next.